Could you work schedule be hurting your gut health? Night shifts, or working from evening to morning, can be rough on your body and mind. Your meal patterns can become confused. Sleeping patterns can become thrown off course. And in turn, weight gain and sleeping issues can develop over time. A recent study has found that night shifts can cause digestive problems over time by throwing off the body’s internal clock. Think of your circadian rhythm as a clock inside of your body telling you when to sleep, eat, and digest, among other things. The internal clock in the body releases hormones at certain times to help you stay awake, provide energy, and help regulate processes such as digestion and blood pressure. Working night shift or traveling across time zones can disrupt this internal clock. This is because being awake when the body is programmed to sleep can confuse the body’s natural rhythms. Previous studies have found that those who work night shift have an increased risk of chronic diseases such as obesity, heart disease, and diabetes. A recent study looked at the effects of night shift work on various health markers. One group of people had a normal day shift and nighttime sleep schedule. The second group worked night shift three days in a row and slept during the day. Hormones such as melatonin and cortisol were also measured. Melatonin usually increases at night to help you sleep. On the other hand, cortisol is normally higher in the day to help with metabolism and blood glucose regulation, among other things. Study results show that those who worked night shift had a shift in their brain’s internal clock by two hours. Although significant, even more so is that the digestive system was thrown off course by 12 hours. These results suggest that night shift work can cause digestive problems over time. Therefore, researchers will continue to study ways to help minimize this impact of night shifts on gut health. They hope that further studies will help identify ways to tailor meal time to minimize night shift’s impact on gut health. In the mean time, there are several things you can do now to help improve your gut health, no matter what time of day you eat. Eat smaller meals to help prevent heartburn or indigestion. Smaller meals will make it easier for your body to break down the nutrients from the food you eat. Eating a large meal at one sitting can put a lot of pressure on your digestive system, especially if you have a job that involves a lot of sitting. Smaller meals can reduce bloating after meals and has been found to help reduce symptoms in those with a history of acid reflux or irritable bowel syndrome. Drink plenty of water to help improve the flow of waste out of the body and to help improve nutrient absorption from the foods you eat. Stay active to help stimulate digestion and prevent constipation, which in turn can cause symptoms such as gas, discomfort, and bloating. Take probiotics to help restore or maintain a healthy balance of bacterium in the gut to aid digestion. Probiotics that are diverse and potent such as Biovia 30X by Vita Sciences can help boost the immune system and promote gut health. Those with conditions such as irritable bowel syndrome have especially found probiotics to be helpful in reducing symptoms. 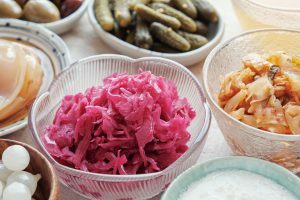 Consuming foods that contain probiotics such as yogurt, sauerkraut, kimchi, and kefir, to name a few, can also help improve gut health. Eat plenty of fiber such as that found in fruits, vegetables, and other plant-based foods. This is because fiber can help bulk the stool and slow down digestion to help improve nutrient absorption from foods. Fiber-rich foods can also act as prebiotics. Prebiotics are compounds from certain fruits and vegetables such as bananas, asparagus, soybean-based foods, and whole grains that feed probiotics. In other words, the prebiotics help promote the growth of healthy bacteria in the gut. Probiotics have become the talk of the town, and for good reason. Every day more research shows that taking probiotics can reduce inflammation in the gut, and in turn, may help reduce risk of inflammatory conditions such as heart disease, eczema, and inflammatory bowel disease. Therefore, adding a probiotic to your daily routine may be the answer to help free your gut, and in turn your body, from inflammation. Inflammation is a response to injury, infection, or foreign bodies in the body. This process is often linked with redness, swelling, and pain. In the body, however, can be a good thing since inflammation helps to get rid of any toxins and help the body heal. However, too much of just about anything can be a bad thing. Oxidative stress, along with inflammation, is often associated with chronic disease risk. When the body’s cells encounter oxidative stress, cell damage may occur, and in turn, chronic disease risk may increase. Oxidative stress occurs, by definition, when there is an imbalance in prooxidant stress and antioxidant defense. This occurs when free radicals, or any species with one or more unpaired electrons, steal electrons from other cells to become paired. In doing this, a chain reaction of free radical formation is set off. This in turn can lead to cell damage. Probiotics are living organisms such as bacteria or fungi, that have health benefits. You may see probiotics in your local grocery store or health food market. It can be confusing to know which strain(s) will be most beneficial for you. The key will be to find a probiotic product that is diverse in the amount of strains that it contains, so that you can benefit from a wide variety of bacterium. For example, one diverse probiotic product is Biovia 30 by Vita Sciences. This probiotic product contains 30 billion colony forming units of 10 important Lactobacillus and Bifidobacterium strains. How can I benefit from probiotics? Probiotics can help restore balance of bacterium in the gut. This can help reduce inflammation in the body and reduce chronic disease risk. The benefits of probiotics range from lowering cholesterol to strengthening the immune system. In addition, probiotics can help improve symptoms in those with digestive conditions such as inflammatory bowel disease. Furthermore, there is evidence that those with skin conditions such as atopic dermatitis and acne may benefit from probiotic treatment. Therefore, free yourself from inflammation in your body today by adding some pre- and probiotics to your daily routine. Baek, J. and Lee, M-G. (2016) “Oxidative stress and antioxidant strategies in dermatology.” Redox Report, 21(4): 164-169. Biswas, S.K. (2016) “Does the Interdependence between Oxidative Stress and Inflammation Explain the Antioxidant Paradox?” Oxidative Medicine and Cellular Longevity, Volume 2016(Article ID 5698931): 9 pages. Nagpal, R., et al. (2012) “Probiotics, their health benefits and applications for developing healthier foods: a review.” FEMS Microbiology Letters, 334(2012): 1-15. Wolfram, MS, RDN, LDN, T. (February 27, 2018) “Prebiotics and Probiotics: Creating a Healthier You.” Academy of Nutrition and Dietetics Online. Could exercise reduce inflammation in the body? Whether you walk, run, swim, cycle, or dance, exercise is a great way to keep your heart in tip top shape. Exercise is also recommended for weight loss, controlling blood glucose levels, and even for helping reduce stress by releasing endorphins. 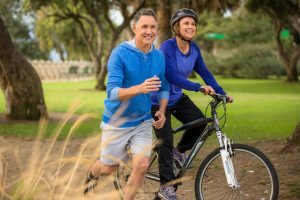 Recent research has shown that exercise may also be good for reducing inflammation in the body, and in turn reducing your risk for many chronic diseases. Inflammation is the body’s response to injury or infection that results in redness, swelling, and painful. It is part of the body’s immune response to such foreign bodies or substances. Inflammation can lead to oxidative stress, which can damage cells and in turn increase risk of chronic disease states. A recent study in the Journal of Physiology looked at the impact of exercise on the health of obese individuals. Inflammation has been linked to many obesity-related conditions such as diabetes and heart disease. Therefore, exercise therapy to reduce weight and improve heart health may reduce such inflammation. 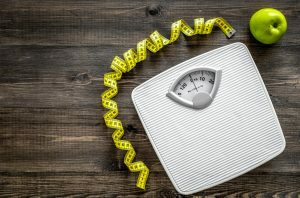 A group of young, obese adults participated in a six-week exercise program that involved three 60-minute bicycling or treadmill-running sessions each week. Blood samples taken at the start and end of the study. These samples reveal that the exercise regimen produced a decline in stem cells that create the blood cells responsible for inflammation. This study shows promise that exercise may help obese individuals to reduce risk of chronic disease as well as others with inflammatory disease status. However, further study of the effects of blood changes on energy consumption, fat storage, and other inflammatory conditions is warranted. Besides exercise, inflammation can be reduced in the body in various ways. Oxidative stress, which is linked to inflammation, can be reduced by diet changes and improvements in gut health as well. Here are some ways you can reduce inflammation through your daily intake. Plant-based diets have shown to decrease inflammation. A 2016 study found that a plant-based diet can help reduce levels of the inflammatory marker C-reactive protein in the body. Research suggests that plant-based foods such as fruits, vegetables, and nuts contain antioxidants that help reduce oxidative stress in the body. Therefore, be sure to add in plant-based foods in your diet at each meal to help reduce inflammation in the body. Stay as natural as possible in your diet. Try to consume mostly whole plant-based foods versus processed foods so you can get the full antioxidant benefit. In addition, additives and preservatives in processed foods may increase oxidative stress in the body. Quit smoking or don’t start. Smoking of any kind can introduce chemicals into the body that can cause oxidative stress. Not to mention that smoking can increase blood pressure and heart disease risk by constricting blood vessels. Reduce pollutant and other stress exposure. Staying out in the sun for too long without protective clothing or mineral-based sunscreen can increase oxidative damage to cells. Also, exposure to pollutants such as car exhaust, industrial smoke, and other chemical-based substances can increase oxidative stress. Therefore, try to reduce your exposure to such things to decrease inflammation in the body. 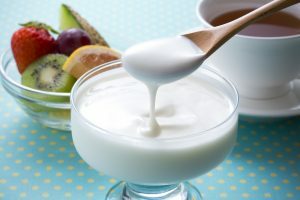 Probiotics may help decrease inflammation. More and more research shows that taking probiotics daily can help reduce oxidative stress in the body. Different probiotic strains can have different impacts on health. However, many probiotic strains have proven to possess ant-inflammatory qualities. Inflammatory conditions like acne and eczema, inflammatory bowel disease, and high cholesterol can improve with probiotic use. An example of a probiotic with a diverse array of strains is Biovia 30 by Vita Sciences which contains 30 billion colony forming units (CFU) to help promote digestive health. Therefore, consider adding a probiotic to your daily routine to help improve your overall health inside and out. Biswas, S.K. (2016) “Does the Interdependence between Oxidative Stress and Inflammation Explain the Antioxidant Paradox?” Hindawi Publishing Corporation, Volume 2016, Article ID 5698931, 9pp. Eichelmann, F., Schwingshackl, L., Fedirko, V., and Aleksandrova, K. (November 2016) “Effect of plant-based diets on obesity-related inflammatory profiles: a systematic review and meta-analysis of intervention trials.” Obesity Reviews, 17(11): 1067-1079. Preidt, R. (June 20, 2018) “Exercise May Ease Inflammation Tied to Obesity.” HealthDay. Could Vitamin D Help IBS Symptoms? Do you get stabbing abdominal cramps after eating a fatty meal? Does dairy or gluten cause uncomfortable gas and bloating? Are doctors unsure of the origin of your chronic constipation or diarrhea? If you answered yes to any of these questions, then you may have what is called Irritable Bowel Syndrome (IBS). Although changes in the diet may be helpful in many cases of IBS, research shows that vitamin D may also help those with this condition. Irritable bowel syndrome (IBS) is a disorder of the large intestine. If someone is suffering from the following symptoms, then they may have IBS. fatty fish like tuna and salmon. However, sunlight exposure can also provide vitamin D. Those who live in cloudy climates may have trouble doing this though. Therefore, vitamin D-rich foods and supplements may be needed for some to meet their vitamin D needs. Research suggests that just 5 to 30 minutes of sunlight twice a week can help a person meet their vitamin D needs. Ostoeporosis is a common condition linked to vitamin D deficiency. However preliminary evidence has also linked low vitamin D to diabetes, hypertension, and glucose intolerance. Recent recommendations suggest that most adults should consume at least 600IU a day. Although, those with a low vitamin D level may require up to 4000 IU/day to help them normalize their levels. It is important to ask your doctor for a vitamin D test at your annual visit. This is because vitamin D is not a typical test that healthcare providers include in your common annual visit lab panel. If you fail to get a vitamin D level test, then you may never know if symptoms such as weakness or bone pain could be helped with vitamin D treatment. A study in the European Journal of Clinical Medicine has found a possible link between vitamin D deficiency and IBS. An analysis of four observational studies and three randomized controlled trials found a link between vitamin D deficiency in IBS patients. Furthermore, high dose vitamin D supplements were found to help ease IBS symptoms such as bloating, diarrhea, and constipation. Even though evidence is limited, researchers suggest that anyone with IBS symptoms should get tested for vitamin D. If you have low vitamin D, you may be prescribed a Vitamin D supplement, or asked to purchase an over-the-counter softgel or liquid supplement. You can also purchase vitamin D in an absorbable cream like Maxasorb by Vita Sciences. Maxasorb comes in 1000IU or 2000IU and provides a convenient way to take your vitamin D daily. In addition to keeping an eye on your vitamin D levels, there are other ways to help control your IBS symptoms. Increase fiber intake by adding in more whole grains like oats and quinoa, along with plenty of fruits and vegetables. Fiber can help bulk stool and make it easier to pass. Exercise on a regular basis. Exercise can help promote healthy bowel movements in those who have constipation. Any movement counts, so get outside and take a walk, dance in your living room to a workout tape or to the radio, or go to the gym and join a group class. Whatever movement is fun to you, is movement that you will stick with for the long run. Get plenty of sleep. Most adults need at least seven hours of sleep each day for good health. Sleep helps your body regulate fluids, blood pressure, blood glucose levels, as well as digestion. Therefore, not enough sleep could be affecting your gut health. Start on a probiotic since the gut may be lacking the good bacteria it needs for healthy digestion. Ask your healthcare provider for specific brands of probiotics they may recommend. You can also check out Vita Sciences for gut health aids such as Biovia 30. Williams CE, et al. Eur J Clin Nutr. 2018;doi:10.1038/s41430-017-0064-z. Do you think you eat enough fruits and vegetables every day? 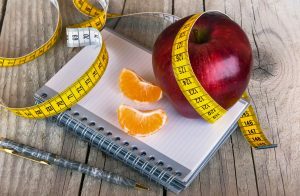 You may track your macronutrients, have an apple a day, and be free of digestive concerns but still be missing the mark. A recent report by the Centers for Disease Control (CDC) has found that most adults in the United States could stand to eat a lot more fruits and vegetables each day. More recently, it has been found that the phytonutrients from fruits and vegetables provide many of its health benefits. For example, the carotenoids found in many brightly colored fruits and vegetables such as tomatoes and carrots have many health benefits. One of the carotenoids, lycopene, has shown potential for reducing risk of prostate cancer. Furthermore, research has shown that another phytonutrient, lutein, has been shown to reduce risk for cataracts. However, more studies need to be done to show the full health benefits of such phytonutrients. What is the recommended intake for fruits and vegetables daily? According to the United States Department of Agriculture (USDA), most people should consume about 2 cups of fruits and 2.5 cups of vegetables every day. This amount of produce would help you to reach the recommended daily fiber intake of most adults, which is around 21 to 30 grams. However, some may think that fiber supplements will do the job if they don’t want to eat fruits and vegetables. 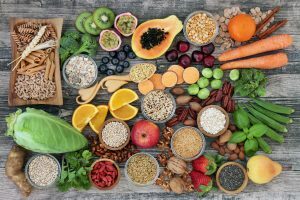 Although fiber supplements may be helpful for filling the gap of your daily fiber needs, they should not be relied upon for your full daily intake of fruits and vegetables. This is because the fiber supplements will not provide the many health nutrients that fruits and vegetables provide. A recent report from the CDC found that only 12-percent of Americans are eating enough fruits and vegetables. High cost and limited access to fruits and vegetables seem to be the biggest barriers to meeting daily recommended intakes. However, a report by the USDA found that it is possible to meet such intakes for about $2.10 to $2.60 per day. Fresh apples, orange, and carrots were found to be some of the lowest cost produce. Also, frozen green beans, canned corn, romaine lettuce, and Roma tomatoes were some of the least pricey produce options. However, this amount may still be a lot for more low-income families. In those cases, the following tips may be helpful in ensuring everyone can get in their daily dose of fruits and vegetables. Buy produce when it is in season. This is because if more of a type of produce is being harvested, the cost will be less for you. An added bonus is that in-season produce will also be more flavorful. Check to see what Supplemental Nutrition Assistance Program (SNAP) benefits provide. Recent benefits provide funds to purchase produce at local farmer’s markets. For this reason, such funds could help offset any produce costs you may incur at the supermarket. Buy frozen produce in bulk. You can often find family size bags of frozen veggies at lower cost than their smaller size counterparts. In addition, frozen produce will not go bad as quickly, so you do not have to worry about any waste if you do not eat it right away. Follow the tips below to get more fruits and vegetables into your daily routine. Slice up some apples with a side of peanut butter for a sweet and salty treat. Keep it simple with some salt and pepper and a drizzle of olive oil. Toss veggies in these simple ingredients, then bake on a cookie sheet for 400 degrees Fahrenheit for about 25-45 minutes, depending on the thickness of the produce you are cooking. This roasted cooking method will bring out the natural sweet and savory flavors of produce. Pair a cup of baby carrots with some hummus or Greek yogurt dressing for a salty, crunchy snack. Load up your lunch bowl with salad greens, cucumbers, tomatoes, carrots, and top with nuts and seeds for extra fiber power. Replace your nighttime chocolate piece with a cup of grapes or berries over Greek yogurt for a filling sweet treat. Use veggies as a foundation for your favorite recipes to add fiber. Use spaghetti squash or spiralized zucchini instead of spaghetti or riced cauliflower instead of mashed potatoes. If you are having trouble meeting your daily fruit and vegetable needs, add a daily multivitamin such as Zestia by Vita Sciences. Zestia contains a potent mix of superfood complexes, fruit and vegetable compounds, probiotics, and digestive enzymes to help support optimal overall health. Can Skipping Breakfast Impact Your Health? Do you skip breakfast? Does your busy schedule make it hard to eat in the morning? Are you just not hungry in the early hours of the day? You may have heard that breakfast is the most important meal of the day. Recent research has found that this may be true. Skipping your morning meal can deprive your body of many important nutrients vital to overall health. Health benefits linked with eating a morning meal include better focus, more energy, lower risk of heart disease and diabetes, among other things. However, a 2011 study found that it is not just important that you eat breakfast, but what you eat at breakfast. A 2011 study by the Institute of Health and Society in Worcester, UK found that it is lower glycemic and higher protein foods at breakfast that will provide the most health benefits. Therefore, swap out your coffee cake or sugary cereal for more nutrient-dense foods. Recommended morning breakfast protein sources include eggs, legumes, nuts, seeds, fish, and poultry. Also, protein from soy, hemp, and pea protein powders can provide a great non-dairy source of protein. In addition, cottage cheese and protein-rich Greek yogurt are great morning meal options. It is suggested that 30 grams of protein should be eaten at your morning meal to provide an adequate energy source. Along with protein, you should balance out your morning meal with complex carbohydrates for fiber. Such fiber-rich foods may include high-fiber cereals such as bran or oatmeal. Other fiber-rich carbohydrates may include low-glycemic fruits such as berries, grapes, or citrus fruits. Also, you could add non-starchy vegetables to your breakfast such as peppers, onions, or leafy green vegetables in your omelette. You could also add spinach leaves, kale, or carrots to your morning smoothie with a scoop of plant-based protein powder and some berries. A more recent study in the British Journal of Nutrition has found that those young people who skipped breakfast were more likely to be low in nutrients such as folate, calcium, iron, and iodine. Nearly a third of students who skipped breakfast had low iron intake versus 4-percent who did eat in the morning. Similar findings were found for calcium intake. One-fifth of students who did not eat breakfast had low calcium intake versus 3-percent of those who did eat a morning meal. The Centers for Diseases Control have found that students who eat a morning meal have improved performance in school. Students who eat breakfast tend to have better focus, attendance, grades, and memory compared to those who skip. It is likely that adults would have the same benefits from eating breakfast. However, more studies would need to be done in such age groups to confirm this theory. 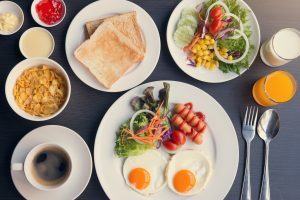 If you find that you are not getting a morning meal in each day, here are some ways to ensure you are getting all of your nutrients during the day. Have healthy snacks available with you at all times. Fiber-rich nuts and seeds, protein-rich jerky and protein bars, as well as freeze-dried fruit are healthy snacks that do not need refrigeration. Keep these snacks in your car, purse, backpack, or at work to make sure you always have nutritious sources of energy on hand. Carry an emergency protein shake with you on-the-go. Pre-prepared protein shakes and waters can provide portable nutrition. If you don’t have time to sit down and eat a solid meal in the morning, you can at least sip your meal while sitting in traffic or during your morning class or meeting. There are many non-dairy sources of protein drinks for those who may have a dairy intolerance. Take a multivitamin daily to fill in the nutrition gaps. Ask your doctor to test for such important vitamins as B12, vitamin D, and iron. If you are low in any of these vitamins, taking supplements may be necessary to get your health up to speed. In the meantime, it doesn’t hurt to take a multivitamin daily. A great multivitamin choice is Zestia by VitaSciences. Zestia contains a comprehensive vitamin profile, 45 fruits and vegetables, a superfood complex, and probiotics to help support optimal health. Kamada, I., et al. (2011) “The impact of breakfast in metabolic and digestive health.” Gastroenterology and Hepatology from Bed to Bench, 4(2):76-85.